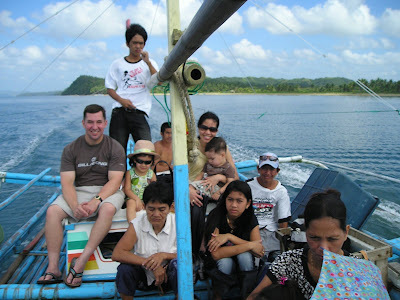 This is the picture of us taken when we left my hometown Donsol. My mother and my youngest sister Mae were very lonely. This is our last ride in the boat. It is very hard to leave when you visit your family because you feel like you don't wanna leave anymore.. Sigh... sigh...sigh... Good night everyone. I'll be visiting you tomorrow. Gotta go to bed because hubby has an online class tonight.. Thanks for the visit and comments..